Amazing Location, right next to the entrance. Amazing Visibility, for all mall patrons. This unit is available to purchase at a great price, Why wait be your own landlord. Considering opening a new business? Would you like to expand your existing business into a new mall? The opportunity is now, here at the New Horizon Mall located in Balzac just south of Cross Iron Mills. 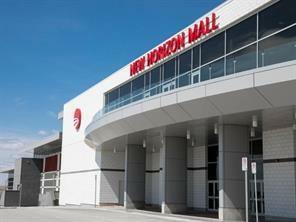 New Horizon mall is like no other in western Canada and you can have an opportunity to be part of it. We are the official leasing and sales office for New Horizon mall. We are open 7 days week 12-5pm, located in the mall on the main floor next to the design centre. Call today for your private viewing. Home for sale at #h09 260300 Writing Creek Cr Balzac, Alberts T4A 0X8. Description: The home at #h09 260300 Writing Creek Cr Balzac, Alberta T4A 0X8 with the MLS® Number C4218399 is currently listed at $599,800.